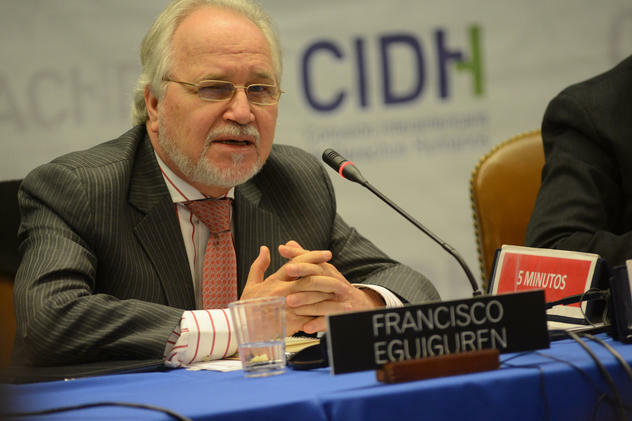 Commissioner Francisco José Eguiguren Praeli is part of the IACHR that did not include the Mestizo representation in an event on the creation of an exclusive territory for Amerindians (Indianstans) in Santarém. The creation of indiestones is accompanied by ethnic cleansing against mestizos, people who are also native. The anthropologist Edward Luz denounced that the Inter-American Commission on Human Rights (IACHR), during a visit to Brazil, “uses heavy police force” apparatus of Santarém”, a municipality located in the West of the State of Pará, “to prohibit the participation of Brazilian citizens and locals in meetings”, carried out in public buildings. I, Edward M. Luz, Brazilian citizen, anthropologist, under a strong police apparatus, was prohibited by the IACHR’s express orders to attend two of its meetings, which is now very clear, were carried out to strengthen the condemnable segregationist strategy of the political movement of NGOs that preach the ethnic separation of the Santaren people as a strategy of socialization of private properties. Commissioner Francisco José Eguiguren Praeli, who was in Santarém, was Justice Minister of Peru during the government of former president Ollanta Humala, accused by Marcelo Odebrecht of receiving 3 million dollars with the authorization of former Brazilian president Lula da Silva, currently arrested for traffic of influence and money laundering. The commissioner was also Peru’s ambassador to Spain. In 2015, still under the administration of Ollanta Humala, he joined the IACHR, which is the rapporteur for indigenous affairs, being a critic of the Parliamentary Inquiry Commission (CPI) that investigated FUNAI, defending, as is usual between groups of the left that work in human rights bodies, the creations of exclusive territories for Indians that cause ethnic cleansing against thousands of mestizo families in Brazil. The Commission, it reports, “will look at the situation of persons of African descent and traditional Afro-descendant peoples (Quilombolas); indigenous communities and peoples” and other groups, not including Mestizos on their list. 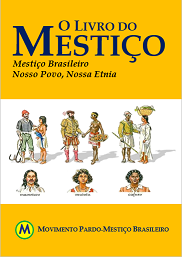 The Mestizo People descend from the original Amerindians who inhabited the present territory of Brazil. The indigenists, usually whites, are opposed to racial miscegenation and racial mixing. The omission is not surprising, considering the invitation by the Temer government, tha excluded Mestizo participation in federal racial politics, and the IACHR’s support for anti-Mestizo policies that promote genocide and ethnic cleansing against the Brazilian Mestizo People and other Mestizo peoples of other Latin American countries and disrespects the International Convention on the Elimination of All Forms of Racial Discrimination, to which Brazil is a signatory, which prohibits Apartheid.